Meditation is our most popular spiritual practice. 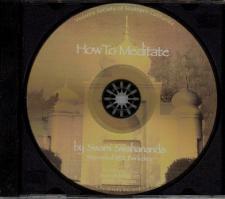 The talk gives many general guidelines on what meditation is and how to meditate. Meditation should be learned personally from a qualified teacher. For formal instructions, call any of our centers.